What was once barren land near the military barracks in Fort Bonifacio, Taguig, is now a vibrant community with over 90 restaurants, three embassies, over 20 office buildings, a world-class football field, two international schools and one college, plus the Venice Piazza that’s reminiscent of the pigeon-filled Piazza San Marco or St. Mark’s Square in Venice. Italian-inspired condominiums have been popping up, and an upcoming retail hub that reimagines the Grand Canal, replete with gondolas and gondoliers, will house a supermarket, state-of-the-art cinemas, a fitness center, and more shops. As a dining destination, the Venice Piazza and the restaurant row in Tuscany offer a gamut of popular brands of local and international cuisine. The Blue Leaf Pavilion is becoming an alternative events place, enhanced by its tropical setting. The Venice Piazza offers a gamut of popular brands of local and international cuisine. The 50-hectare McKinley Hill, located at the junction of Lawton Street, McKinley Road, and C5 is the biggest township of Megaworld Corporation. The developer, which lays claim to pioneering a Live-Work-Play-Learn community concept in the country, has provided reliable electricity and water services, wide sidewalks, sufficient parking, good roads, open spaces, efficient transportation, and maintenance services. McKinley Hill symbolizes the country’s contemporary urban center. Megaworld senior vice-president Jericho Go says McKinley Hill has a workforce population of 55,000 mostly in business process outsourcing (BPOs) and other corporations. These employees need food, clothing, shelter, and transportation which consequently produce a demand for retail, transportation and maintenance of the residences, and a multiplier effect. The Venice Piazza offers diners a taste of European and Mediterranean flavors amidst a charming setting. “This creates direct and indirect employment of 300,000 for McKinley Hill. We are passionate about what we do because of the jobs that we generate. Those jobs benefit us, as we develop a captive market. It creates a cycle of purchases and acquisition of properties. That allows us to help spur employment growth, hence nation building,” he points out. The Asian financial crisis in 1997 gave Megaworld an opportunity to engage in a new development concept out of necessity. Fears of an economic meltdown brought down property prices. While other businesses held back, Megaworld chairman and president Andrew Tan urged his team to put a new spin on their real estate businesses. Meanwhile, the Bases Conversion Development Authority was putting up chunks of property for sale in Taguig. Tan knew it was the best time to invest in property. Inspired by a newspaper article, Tan’s team visited the IT Park in Bangalore, India, from 1997 to 1999. It was built with a slew of call centers, IT offices that are complemented by condominiums and a shopping center. The private sector provided the waterworks, electricity, and drainage to compensate for the government’s infrastructure. “It was an eye-opener for us. We realized that development has to be led by the private sector. We said we can do this,” Go recounts. In 1999, Megaworld built the country’s first township, Eastwood City in Libis, Quezon City, which became the home of IBM, Citibank, and BPOs, clustered condominiums, Mediterranean-inspired retail shops, an upscale mall, School of Informatics, and the Eastwood Richmonde Hotel. Now 18 hectares, Eastwood City has become a destination for nightlife and special events. Cognizant is one of the international business process outsourcing (BPO) companies located in McKinley Hill. The concept changed the way of doing business,” says Go. “Retailers paid rent to use the space for 12 hours. With the BPO shifts, one pays the same rent but doubles earnings because there are daytime and nighttime crowds,” says Go. Its “happy hour” started a morning shift at 7 a.m., where workers would be gathering in dining places. Ten years ago, Megaworld built McKinley Hill with underground power facilities to ensure that there would be no brownouts during typhoons. By 2007, One World Square opened its first office building in the site, attracting companies such as Ericsson and Infor. Eventually, it attracted blue-chip companies such as Wells Fargo and Abbott. Low density urban setting, security, and accessibility to main thoroughfares have made McKinley Hill attractive for the United Arab Emirates, the British and Korean embassies to open their offices on the site. “The British Embassy needed a 50-meter safe distance from the perimeters. It would be difficult to find a property in a business district that would have that flexibility. Fortunately, we found a plot of land that was beside the American Battle Memorial, which is US territory on Philippine soil. You can put up a building that is flushed to a protected perimeter,” says Go. Seeing a synergy with office and residential developments and the British Embassy on site, Korea saw it as an ideal location for its mission and the Korean International School. The Korean and Chinese International Schools also opened, as well as Enderun Colleges, known for its world-class culinary education. To maintain peace and order, McKinley Hill management works with the Philippine National Police and triples the number of private security guards, plainclothesmen, and roving patrol guards. Go says that Megaworld’s advantage is that it solely owns and manages the properties and roads in its townships. An estate management group can address traffic and public transportation issues. “If the employees of our tenants encounter problems in transportation, we can mediate by increasing the number of buses and frequency of service. We keep the environment clean though by not having jeepneys inside,” says Go. But it’s not just all work in McKinley Hill. As part of its corporate social responsibility, Megaworld set aside 15,000sqm to build the 2,000-seater Emperador Stadium and a football field, which is home to United Football League. “We want to make a difference,” says Go. The Stamford Executive Residences is a residential condominium in McKinley Hill. When Megaworld bid on a deserted property in Fort Bonifacio in Taguig, the developer pictured a suburban-style complex or township on an expansive site. Megaworld called it McKinley Hill, after Fort McKinley, and its elevated, sloping grounds. 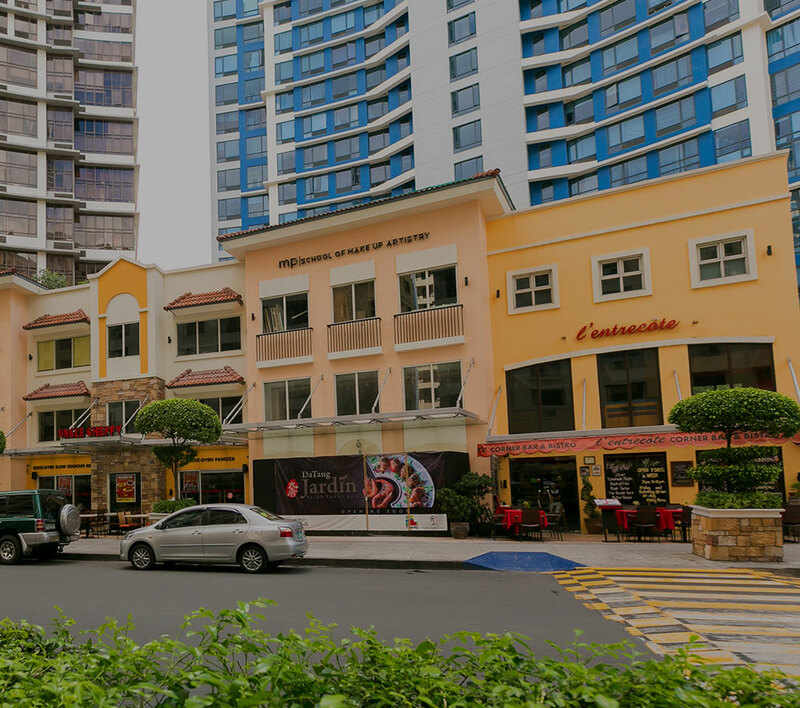 McKinley Hill is accessible from Edsa, C5, SLEX, and Kalayaan Avenue. Public transportation services these routes. “The Fort is the city of the future. The roads are better and more accessible compared with other business districts,” says Megaworld senior vice-president Jericho Go. McKinley Hill is now the site of numerous business offices with a demographically diverse labor pool. Moreover, Megaworld recognizes other factors that are important to companies such as flexibility in commercial terms, concessions, scenic views, and areas for growth. The Venice Luxury Residences is an Italian-inspired condominium in McKinley Hill. “These businesses feel they are working with a partner, not a landlord,” says Go. McKinley Hill is home to Samsung Philippines, Philippine Chamber of Commerce and Industry, Hewlett Packard, Abbott Laboratories, Accenture, Ericsson and Lawson, to name a few. Many BPOs and corporations requested expansion capabilities on the site. Companies were willing to invest in McKinley Hill if they had ample land to erect additional buildings. For BPOs, aside from flexible floor plans, Megaworld has provided backup support for power and telecommunications in case of emergencies or calamities, so that services are not interrupted. To offset brownouts, Megaworld runs massive diesel generators capable of powering the township for a long time. “Generator sets can operate for days without refueling. We have data to refuel that is good for a week,” says Go. Anticipating McKinley Hill’s growth, Megaworld built a parking building with over 800 slots on top of the existing parking spaces in the office buildings. Then again, companies have other special requests. One of the deciding factors for Colgate Palmolive Philippines’ moving to McKinley Hill was the transplanting of its mango tree. “If there’s a will there’s a way. If we want this brand, we would move heaven and earth for it. That’s been our ethic,” says Go. The mango tree was replanted near the McKinley Hill’s entryway on Lawton Avenue. And since Colgate wanted a view, its new building faces the tree-lined grove of the American Battlefield Memorial. The 8 Campus BPO office building in McKinley Hill is the country’s first LEED-gold certified building for BPOs. Megaworld has also provided the most environment-friendly towers to office and retail partners that require green building options for their operations. The 8 Campus BPO office building was introduced as certified LEED structure with gold certification level in McKinley Hill. It is the country’s first LEED-gold certified building for BPOs. LEED, which stands for Leadership in Energy and Environment Design, is a green building ratings program under the US Green Building Council or USGBC. It is the most widely accepted and recognized green building rating system worldwide. The 8 Campus Place, which is now occupied by Wells Fargo Enterprise Global Solutions, is the latest LEED gold certified under the Core & Shell category in McKinley Hill. The five-storey office was comprised of three buildings with a total leasable floor area of 30,000 sq. meters.